Let me start by saying that all Warehouse Clubs (Sam's Club, BJ's, Costco, etc.) are different. Some accept coupons, others don't. Some Warehouse Clubs have internal coupons. Some are a lot cheaper on their annual membership fees than others. If you are a member of a Warehouse Club, make sure you research the club and its policies. You can save a lot of money by shopping at a Warehouse Club if you know the right things to look for and what to buy. Assuming you are not a vegetarian, one major item you will want to purchase at a Warehouse Club is meat. Meat rarely has coupons or sales worth mentioning at regular grocery stores. It is also much cheaper to buy meat in bulk, and I have discovered that the meat is a better quality at my local Warehouse Club. After you get home from the store, make sure that you package the meat into smaller bags immediately and freeze what you will not use in the next two days. It may sound like a pain, but it takes only a few minutes and will save you a lot of money. Another great buy at Warehouse Clubs is bulk cheese, but this one is a good deal only if your family can eat a large amount before it expires or molds. You cannot freeze cheese, so you will need to figure out if this is a good deal for you or not. The same thing applies to fruits and vegetables. I have found that some fruits and veggies are about the same price as at the grocery store, while others are very cheap. Shop around and know your prices and how much your family consumes to determine if it is a good deal for you. Note: If you have a family member or friend who is willing to go with you and split the bill and groceries in half, you can really save on cheese, fruits, and veggies. If your Warehouse Club has clothing, it is definitely worth checking out. I have purchased high-end name brand jeans for $14, an Official Baseball MLB jersey for $10, and many other great-priced items. For electronics and various other non-food items, the prices are normally decent, but not incredible. I would save these purchases for a great sale at another retailer. As for boxed items (cereal, granola bars, etc), condiments (ketchup, mayonnaise, BBQ sauce, etc), canned items and other foods: you will have to use your local knowledge and current situation to determine if they are good deals. For example, my local grocery store has Buy One, Get One Free items every week. Cereal and condiments are always included in these sales and you can use coupons on top of getting a free item. It is definitely cheaper for me to buy these items at the grocery store. However, if it was just on sale last week (so I know it won't be on sale for another five to six weeks) and I don't have coupons and I am out of it, then I would buy it at the Warehouse Club. As you walk through the Warehouse Club and look at prices, always try to determine the price per unit and compare it to your grocery store prices. Then, take into account whether or not you have coupons for the item and whether you have seen it recently in something like a Buy One, Get One Free sale. If you determine that the Warehouse Club price is great, then ask yourself if your family will be able to use that amount before it will go bad. If it expires, you no longer saved money. If it passes these tests, then it is probably a great deal. 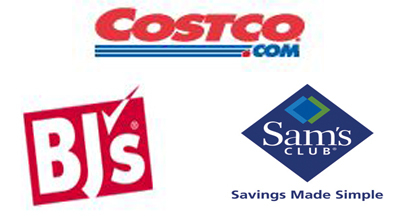 Know your prices and shop smart to save lots of money at Warehouse Clubs! Article first published as Saving Money at Warehouse Clubs: How to Shop, What to Buy on Blogcritics.